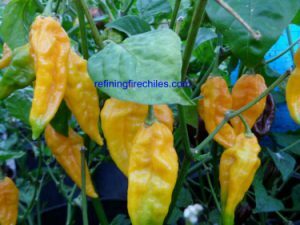 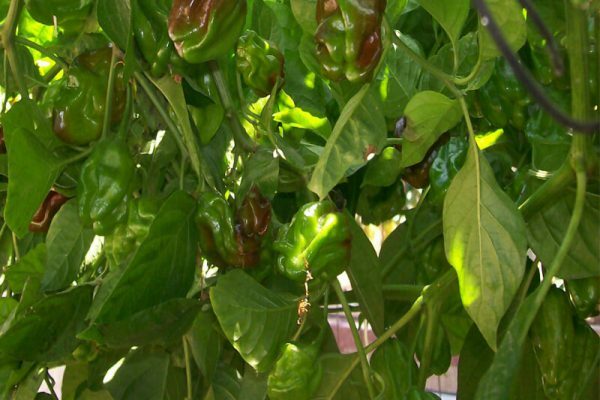 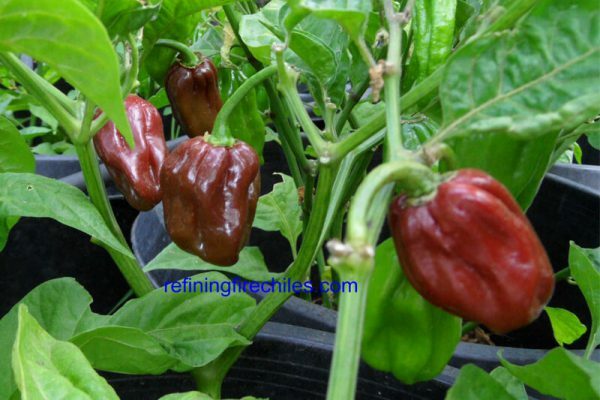 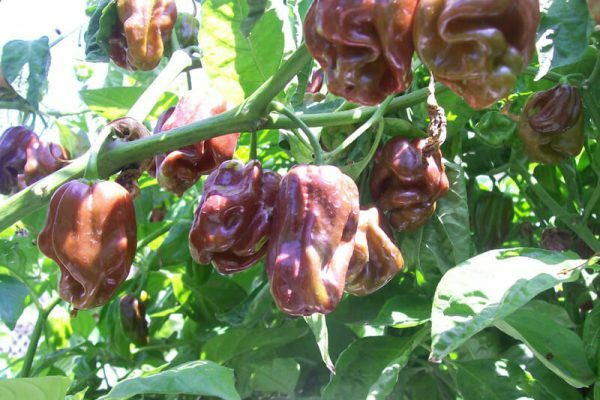 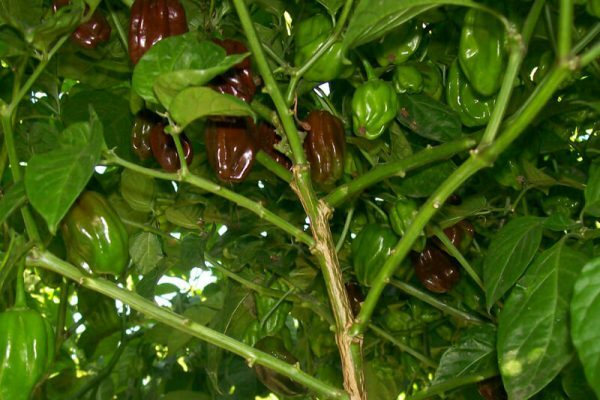 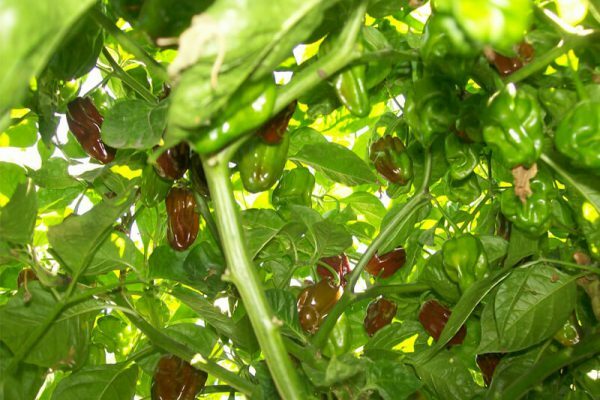 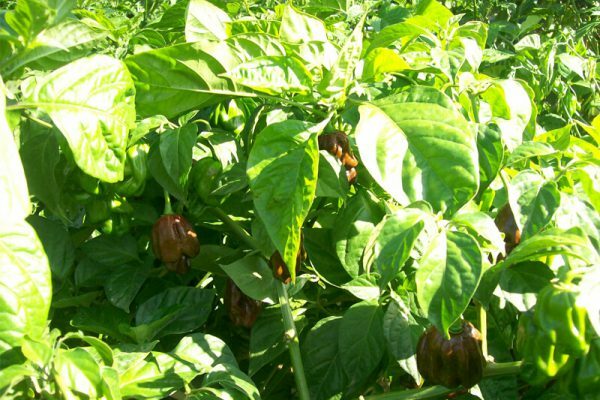 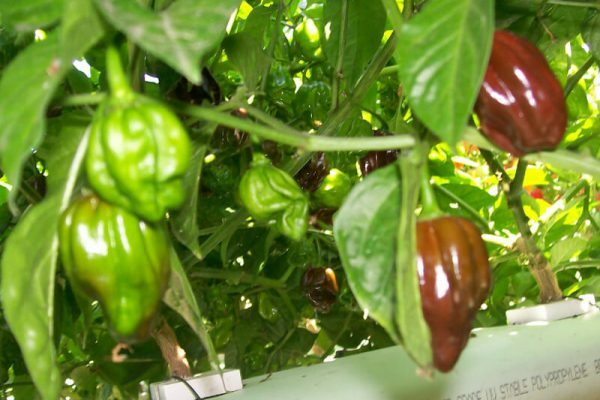 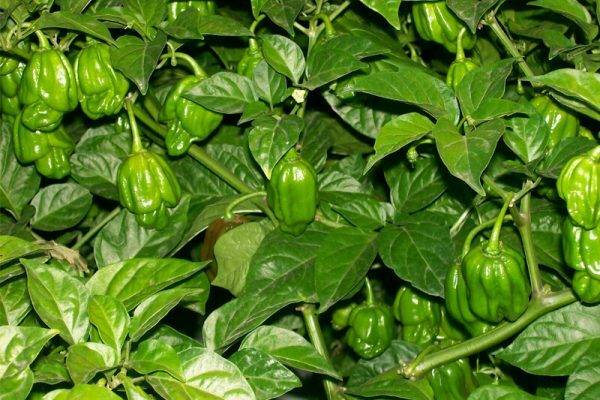 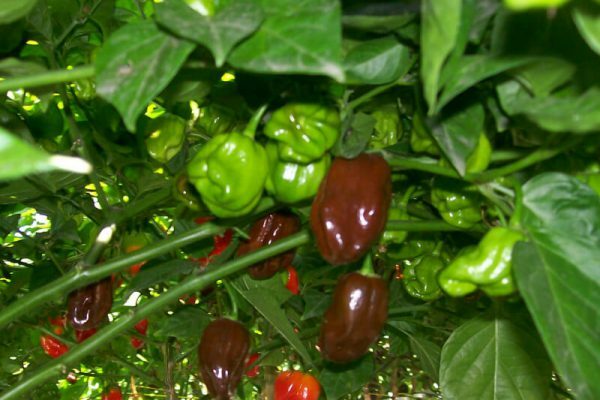 Jamaican Chocolate Habanero grows an abundance of pods that mature from light green to medium or dark brown. 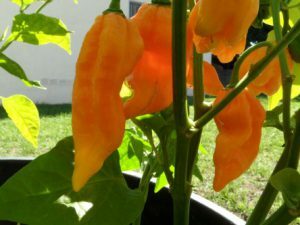 My favorite of all the habaneros as far as flavor goes. 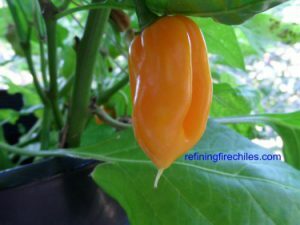 Great for making salsa or home made Jamaican Jerk marinade. 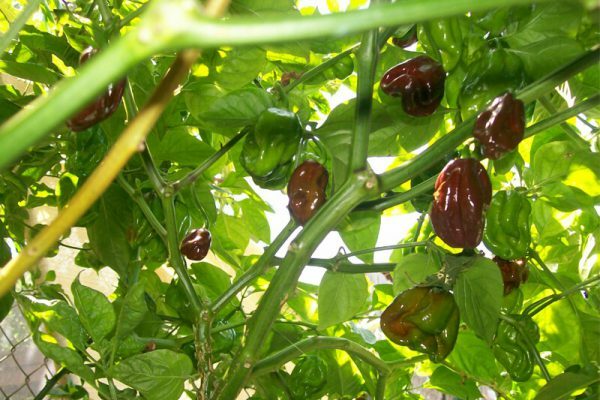 There is even a recipe for a Chocolate Habanero Torte! 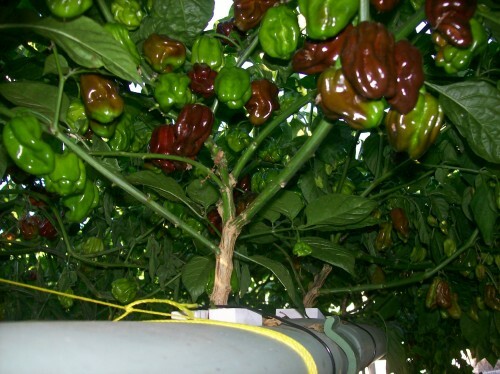 Plants can reach a height of over 4 feet. 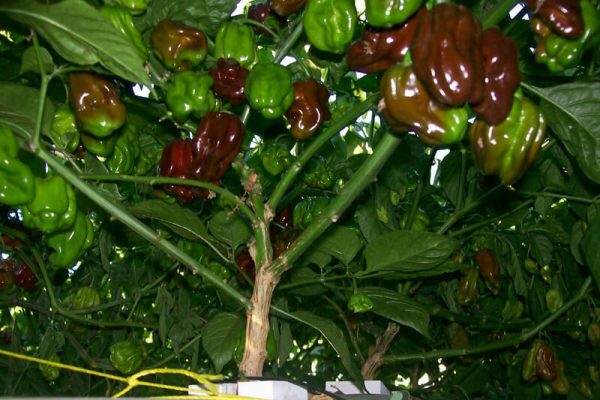 I have grown this species in both hydroponics and soil.